blueEHR® “Modules” is one of the four core components of the Health IT as a Service (HITaaS)® environment. blueEHR pre-built modules offer core components for your healthcare organization’s clinical, commercial, and administrative operations. These modules are configurable to customize the platform to fit your unique requirements. Additional customization and enhancement features are available through blueEHR SDK for developers to build their own plugin modules, APIs and Microservices to extend and build custom applications and integrations. The “Module Installer” within the blueEHR HITaaS environment allows you to enable or disable individual prebuilt modules. Custom developed modules using the blueEHR SDKs are also plugged into the system and activated within the Module Installer. Developers of WordPress® or similar platforms would be familiar with this user-friendly approach. The blueEHR platform was built from the ground up to make health IT simplified - nearly a million hours invested in providing the modules, extensions, resources and solutions that you require, whether operating a healthcare facility or customizing health IT solutions. Leverage the power of the blueEHR to power your custom health IT solutions - and get to market faster, while saving time, money and resources. 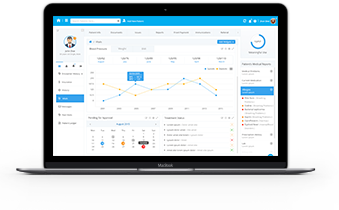 The blueEHR billing module is a complete, all-one-one feature that is focused on providing capabilities to manage and improve your revenue cycle management by decreasing staff time required to handle billing through seamless entry, posting and A/R management. With the blueEHR billing module, you can achieve better outcomes by increasing revenue and efficiency. The Scheduler module helps the blueEHR user maintain working hours of the facility and/or provider. The scheduler divides the working hours into time slots of fixed time, enabling the staff to schedule facilities and/or care providers. Manage the settings and use the scheduler to attain maximum efficiency. The blueEHR messaging module is a feature which can be used for clinics, physicians and patients to message one another or send communications. Essentially, this is a feature that allows you to communicate with your patients, physicians, practice staff, and a larger provider network in a unified inbox, enabling a better and transparent patient-doctor relationship. Gain control of your practice by increasing your revenue. 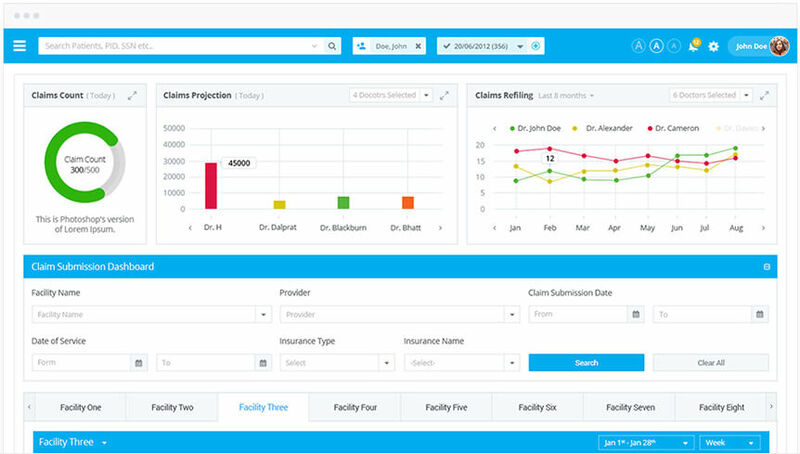 blueEHR makes practice management easier with a cloud-based solution that provides the ability to manage all your day-to-day practice needs like scheduling, appointments, billing tasks, report creation, and more – and you can access this flexibility from anywhere. The Care Coordination Module gives an advanced overview and knowledge about all the patient needs and preferences by enabling the user to electronically share CCDA information with different care providers and HIEs. This coordination helps in efficiently providing the right care, at the right time to the patient. The blueEHR e-Prescription feature enables your practice to maintain efficiency and patient satisfaction. E-prescription facilitates faster delivery of medicines, refills, and removes errors – making it extremely reliable. It also includes drug-drug and drug-allergy interactions and the ability to print and transmit prescriptions electronically. blueEHR allows laboratories and providers to exchange lab orders and results via a secure lab interface. The blueEHR Reporting and Analytics module provides current and updated information on the financial status of the facility, practice or health system, as well as reports about various areas in the system. The module provides reports for the functional areas of the system, keeping you up-to-date about the system.